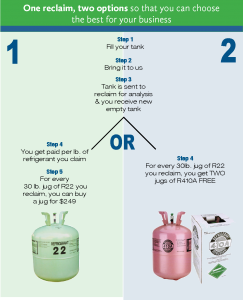 2J Supply’s Refrigerant Reclaim Program is the best around! Try us out! Getting discounts has never been so easy! Just come into your local 2J store with the old refrigerant you want to replace and we will start the reclaim process for you. 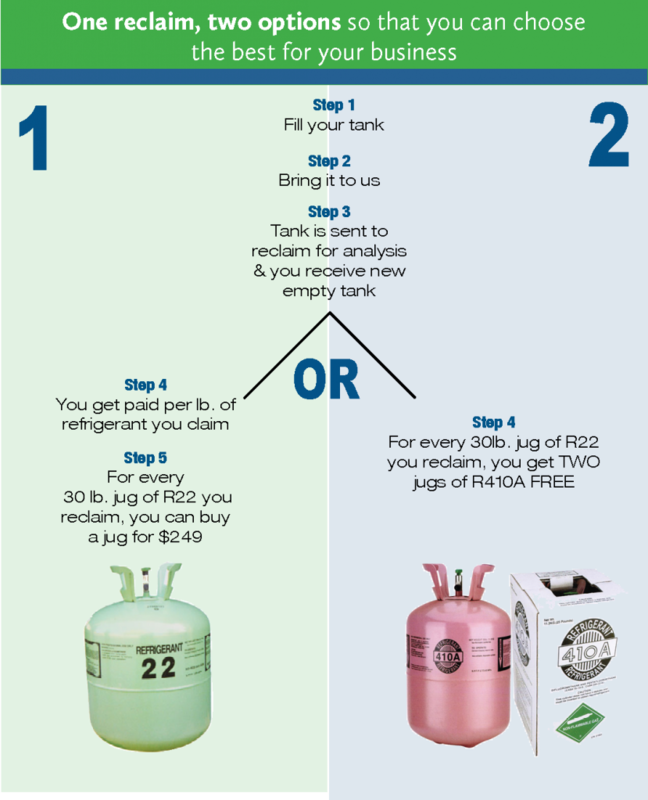 For every jug you reclaim with us (that passes purity inspection), you get paid for your reclaim, you get a brand new empty tank AND you can buy a new 30lb jug of R22 for a discounted price! Not interested in R22? You can reclaim your R22 for R410A instead! Ask your counter for details.